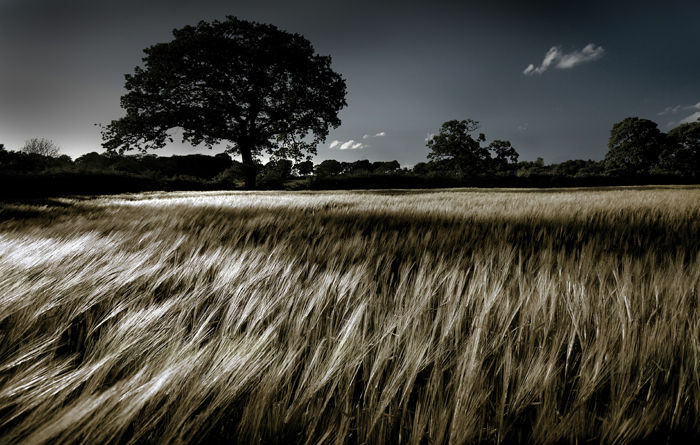 Photograph of a wheat field in its early growth near Stokesley North Yorkshire. I've tried to capture both the fine detail of the wheat stems themselves as well as the flow of the wheat tops in the warm late afternoon breeze. This version of the photograph has had a warm due tone applied, often a very pleasing alternative to a straight monochromatic.